The modern effort to demarcate a taxonomy of distinct clinical conditions is often traced to Kraepelin (1917). Kraepelin, however, had himself acknowledged that "wherever we try to mark out the frontier between mental health and disease, we find a neutral territory, in which the imperceptible change from the realm of normal life to that of obvious derangement takes place" (p. 295). The DSM-IV diagnostic categories do provide valid and useful information (as indicated in the chapters included within this text). However, undermining their validity and clinical utility is the false assumption that they are qualitatively distinct conditions. An adequate understanding of the diagnosis, etiology, pathology, comorbidity, and treatment of all mental disorders may require an acknowledgment that they are not conditions qualitatively distinct from one another nor from the anxiety, depression, sexual functioning, sleep, cognitive aberrations, drug and alcohol usage, and personality traits evident within all persons. Most mental disorders appear to be the result of a complex interaction of an array of interacting biological vulnerabilities and dispositions with an equally complex array of environmental, psychosocial events unfolding over time (Rutter, 2003). The symptoms and pathologies of mental disorders are highly responsive to a wide variety of neurochemical, interpersonal, cognitive, and other mediating and moderating variables that help to develop, shape, and form a particular individual's psychopathology profile (Andreasen, 1997; Rutter, 2003; Tsuang, Stone, & Faraone, 2000). This complex etiological history and individual psychopathology profile are unlikely to be well described by a single diagnostic category. A model for the future might be provided by one of the more well-established diagnoses, mental retardation. A dimensional classification of mental disorders is viewed by some as a radical departure, but DSM-IV already includes a strong precedent. The point of demarcation for the diagnosis of mental retardation is an arbitrary, quantitative distinction along the normally distributed levels of hierarchically and multifactorially defined intelligence. The current point of demarcation is an intelligence quotient of 70, along with a clinically significant level of impairment. This point of demarcation is arbitrary in the sense that it does not carve nature at a discrete joint, but it was not randomly or mindlessly chosen (Haslam, 2002). It is a well-reasoned and defensible selection that was informed by the impairments in functioning commonly associated with an IQ of 70 or below (Zachar, 2000). The DSM-IV classification of maladaptive levels of intelligence is also a useful model because it illustrates how categorical and dimensional diagnoses are not necessarily mutually exclusive. There are instances of mental retardation that have specific etiologies. Recognizing that psychopathology is generally best classified along continuous distributions does not imply that no instances of qualitatively distinct conditions would not exist or could not be recognized. On the other hand, the categorical diagnoses in the case of mental retardation are generally placed on Axis III as physical disorders (e.g., Down syndrome) that can be traced to a specific biological event (i.e., trisomy 21), and the mental retardation of persons with these categorically distinct disorders is still described well in terms of the continuously distributed cognitive impairments. A general factor of intelligence (ability to reason, plan, solve, learn, and comprehend information) saturates most to all measures of cognitive ability (as a temperament of neuroticism might be common to many anxiety disorders), but it can in turn be further differentiated with respect to particular facets (e.g., quantitative, spatial, and verbal intelligence) that can themselves be in turn further differentiated into more specific components (Lubinski, 2004). The domain of intelligence is distributed as a hierarchical, multifactorial continuous variable, as most persons' level of intelligence, including most of those with mental retardation, is the result of a complex interaction of multiple genetic, fetal and infant development, and environmental influences (Lubinski, 2004; Neisser et al., 1996). There are no discrete breaks in its distribution that would provide an absolute distinction between normal and abnormal intelligence. We suggest that the future classification of anxiety, sleep, sexual, substance, mood, psychotic, personality, and other mental disorders would do best to follow the lead provided by mental retardation. Here's How You Could End Anxiety and Panic Attacks For Good Prevent Anxiety in Your Golden Years Without Harmful Prescription Drugs. 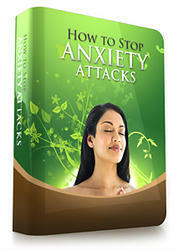 If You Give Me 15 minutes, I Will Show You a Breakthrough That Will Change The Way You Think About Anxiety and Panic Attacks Forever! If you are still suffering because your doctor can't help you, here's some great news...!